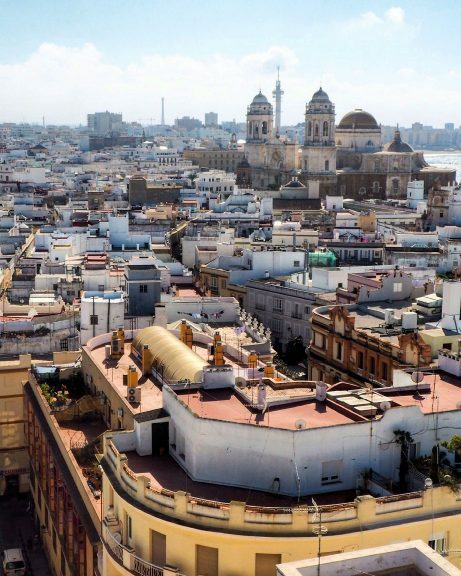 The oldest city in Western Europe, Cadiz juts into the Atlantic Ocean on a narrow strip of the Costa de la Luz, the ‘Coast of Light’ just outside the Sherry Triangle in southern Spain. This exposure to sea, sunlight, Sherry and distinct lack of space leaves the ancient port sun-bleached, warm, and largely preserved since the 16th century. The skyline is dominated only by Cadiz’s historic viewing towers, the most infamous of which is the Torre Tavira, which offers a unique tour of the city from above. 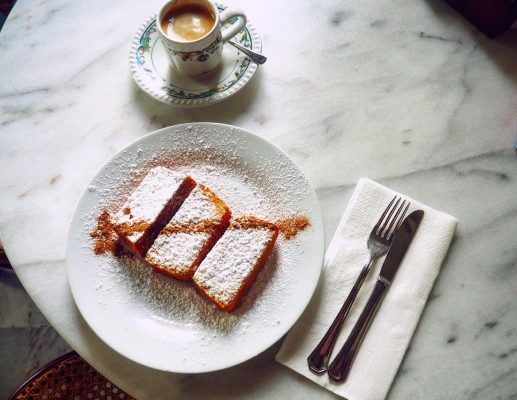 Despite industrial decline, at street level the city is experiencing a gastronomic resurgence and remains a stronghold for showcasing the region’s best food and drink, Manzanilla Sherry, fried fish, and tapas in its many forms. 2 – For fresh and fried fish: On market days visit the oldest covered market in Europe, Central Mercado Abastos, for sights of freshly caught sea creatures before sampling oysters at any of the surrounding stalls. Opposite the market Bar Merodio is supposedly the place for a racion of ortiguillas (deep fried sea anemones), and off the central plaza is Freiduria las Flores, the place for fried fish served casually in a cone of parchment. Plaza Topete, 4, 11001. 9am – 12am daily. 3 – Morning or early afternoon is a good time to visit El Chicuco Delicatessen, a treasure trove of local produce. 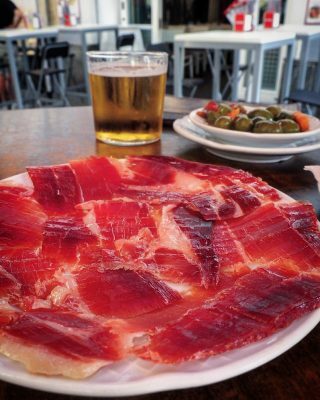 €100 legs of jamon de bellota lined up like can-can girls, shelves stacked with vintage-branded tins of Almadraba tuna from nearby Barbate, and floor to ceiling bottles of local wine and Sherry, all of which can be sampled at their bar before you leave with a goodie bag. Plaza de San Juan de Dios, 16, 11005. Mon – Weds 10-4pm reopens 6.30-9.30pm, Thurs – Sat close at midnight. Closed Sunday. 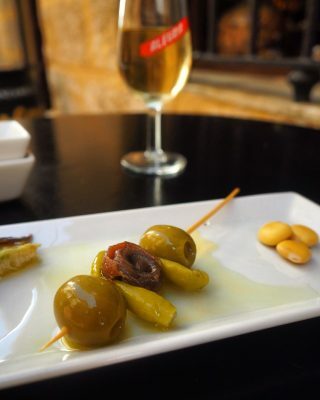 4 – For Sherry: Really, your first glass of cold, nutty Manzanilla should be taken at La Taberna la Manzanilla. Closed between lunch and dinner and on a Sunday evening it is good for a pre-lunch or late night bar stop. Calle Feduchy, 19, 11005. Sat-Sun 11am–3.30pm, Mon-Fri 11am–3.30pm, 7–10.30pm. 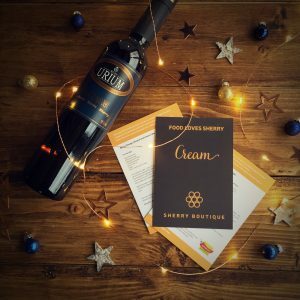 5 – Modern tapas: Stripped back, modern tapas restaurant Ultramar&nos has a lunch and dinner menu of classic dishes, and showcases one of the region’s specialities, chicharrones, with a freshness that reminds you that you are surrounded by the ocean. Plaza de Mina, 1, 11004. During Winter season 1.30pm-4pm, 8.30pm-11pm, closed Mondays. 6 – Classic tapas: A short walk from Ultramar&nos is a Cadiz institution, Meson Cumbres Mayores. This restaurant thrums with life throughout the day and night, its patrons young and old, local and foreign. They come for the quality of the menu and stay longer than a normal tapas pit-stop for the atmosphere. 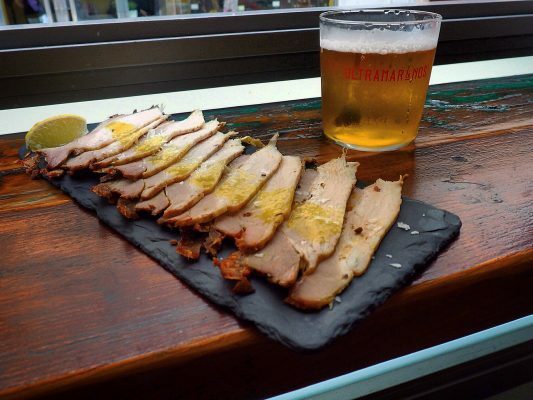 Recommended dishes are riñones (kidneys), carrillada (cheeks), or a plate of jamon and caña of beer. Calle Zorrilla, 4, 11004. Daily 12.30-4.30pm, then 8pm-11.50pm. 7 – Traditional fare: Another institution is seafood restaurant El Faro, with options of white tablecloth dining in the restaurant for a menu del dia, or standing at the bar for tapas of tortillitas de camarones, pulpo, ortiguillas, and patas. Calle San Félix, 15, 11002. Daily 1pm–4.30pm, 8.30pm–12am. 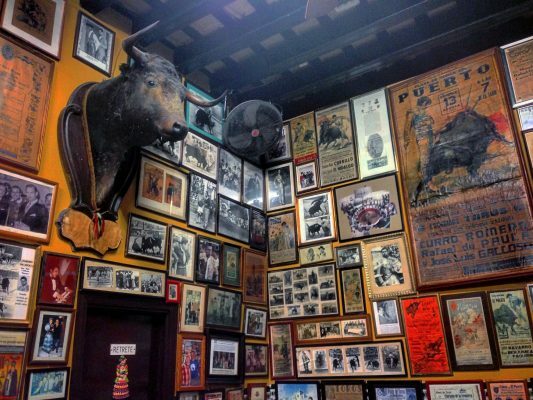 8 – Casa Manteca: This shrine to the bullfighter in the family that owns the bar is loved by tourists and locals alike. It has a lively atmosphere and classic tapas menu for a light plate at the bar. Calle Corralón de los Carros, 66, 11002. Daily 12–4pm, 8.30pm–12.30am. 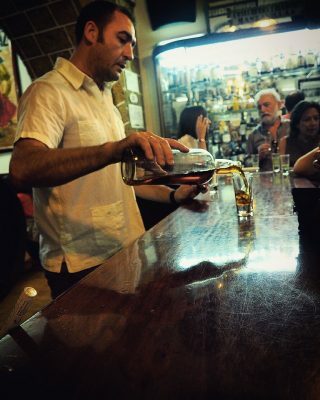 9 – Tapas crawl: Sherry barrels stand upright as tables outside La Sorpresa, a charmingly retro tapas taberna down a narrow side street near the Catedral. 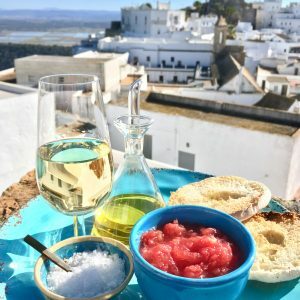 Small bites such as a Gilda are perfectly accompanied by a dry Manzanilla. Calle Arbolí, 4, 11005. 11.30am–4.30pm, 8pm–11.30pm closed Mondays. 10 – For a sundown vista: La Quilla provides an unbeatable setting. At the sunset end of the La Caleta promenade, its boat hull shape provides the backdrop for a pulpo tosta and balloon glass Gin and Tonic. Antonio Burgos, Bar Quilla., Playa de la Caleta, 11002. Daily 11am – 2am. – Bar Terraza: On one side of Plaza de la Catedral – for a plate of gambas a la plancha for lunch followed by a palate cleansing ice cream from Narigoni Gelato. – Bar Club Caleta: Underneath the promenade and facing Playa de La Caleta – for a sunset plate of grilled prawns washed down with a tinto de verano. 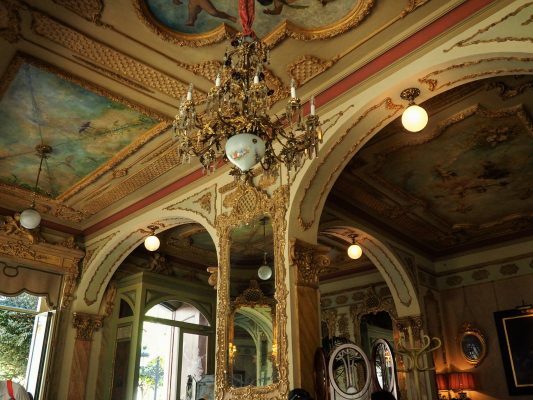 – Balandro: An unassuming restaurant near Parque Genoves and Flamenco bar La Cava. Watch plates of ortiguillas and their pinchos de langostinos pass by you and follow suit. – Walk Paseo Fernando Quinones, the narrow walkway that links Cadiz to Castillo de San Sebastian either first thing in the morning or at low tide. Want to explore the best eating and drink that this fabulous city has to offer? Come along on one of my Cadiz tapas tours.